The US Department of Energy, with backing from the oil industry, has successfully tested a new method to extract untapped natural gas from frozen crystals of methane hydrate, buried in ocean sediment and permafrost in Alaska’s Arctic. Some experts claim that this energy source could provide several hundred years of energy, and they want to tap it using a method which requires carbon dioxide to be injected into the ground. Any form of drilling in the Arctic raises serious questions about extracting fossil fuels in an environmentally sensitive region, but proponents claim that the drilling techniques have a low ecological footprint. 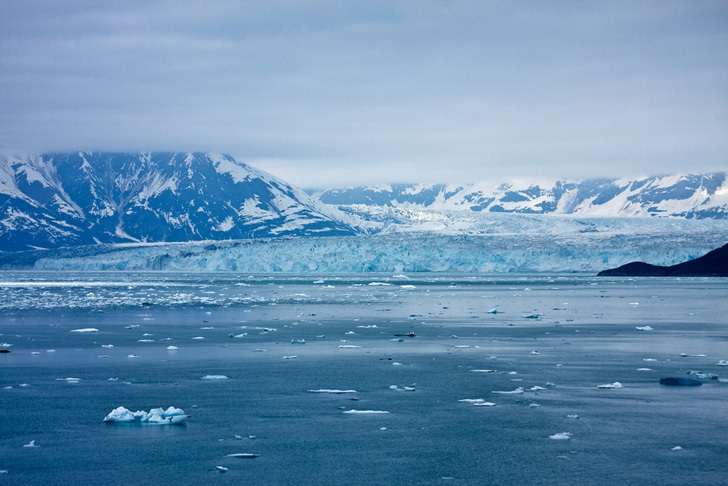 According to MSNBC, the US Geological Survey estimates that Alaska holds massive amounts of methane hydrates, around 600 trillion cubic feet onshore, and an incredible 200,000 trillion cubic feet offshore. With such a potential for utilizing an as yet untapped fossil fuel, it’s of little surprise that the oil and gas industries have jumped on board to research production potential. ConocoPhillips backed the recent study by the Obama Administration, testing the carbon-dioxide pumping technique at its oil facilities on Alaska’s North Slope. The US is not alone in its efforts to harness this as yet untapped fossil fuel; China discovered a large reserve of methane hydrate on the Qinghai-Tibet Plateau, thought to be the rough equivalent of 35 billion tonnes of oil — and that reserve is smaller than the estimated reserves of the Alaskan Arctic. 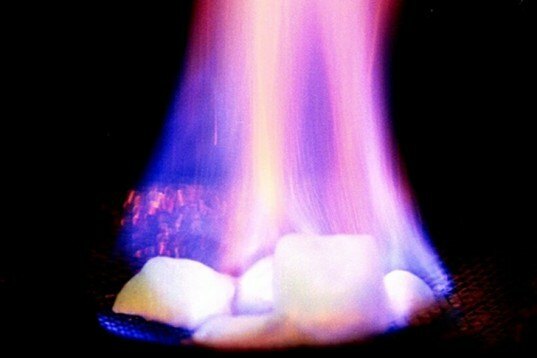 Supporters of the technique claim that it is ‘greener’ than oil and current natural gas production methods because it harnesses C02, injecting it into the ground to release the methane hydrate, and thereby removing the greenhouse gas from the atmosphere. Indeed, a ConocoPhillips spokesperson, Davy King, told MSNBC, “Many experts believe that methane hydrates hold significant potential to supply the world with clean fossil fuel,” which is a pretty extraordinary misnomer. As the carbon dioxide is stored in the earth, the process risks releasing methane into the atmosphere, itself a far more potent greenhouse gas. And that’s before we even begin to look at the ecological impact of this new drilling technique. The research into utilizing the technique also poses yet another strange scenario from the oil and gas industry. As we previously noted, with climate change warming Arctic glaciers “methane is seeping from deep within the Earth’s core through breaks in the layers of permafrost under the arctic sea” which some scientists believe to total 8 million tonnes of emissions of the greenhouse gas each year — itself a further driving force for global warming. And the problem is occurring in a number of places where there are deep ice shelves and warming. Huh. Well, if they extracted both methane and methane hydride from the glaciers, then it would lower the amount of methane the glaciers emit and therefore slow down global warming. Although since it's replaced by CO2, that would still be emitted after some time. And, of course, to use CH4 as a fuel, you need to burn it, producing more CO2. So it all comes down to the balance: is converting all that CH4 to CO2 better than emitting CH4 itself? As for disrupting the ecosystems... Well, it's once again a balance. If it helps to slow down global warming, then the glaciers will stay for a longer time, which is better for the environment there. But if it doesn't, then it will just make the destruction of the glaciers faster.